Artwork details: coloured pencil over paper stained with gouache, 13 x 13 inches (33 x 33 cm), 2003. This picture was sort of inspired by the image of a dog with its head stuck out a car window - cats just wouldn't do this sort of thing - and I realized that of course your average cat is going to hate it on a broomstick and witches should keep dogs instead if they are going to ride about on broomsticks. 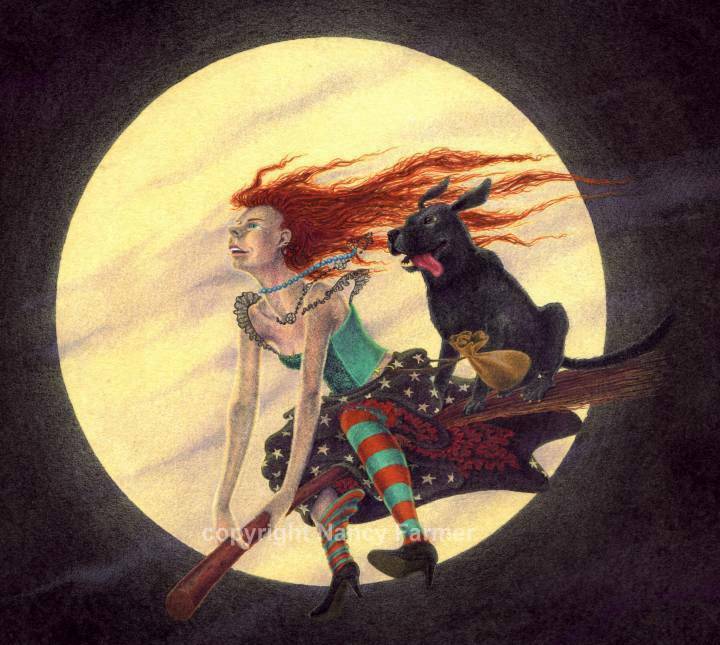 Dog on a Broomstick - drawing by Nancy Farmer.